God comes to those who wait for him. Our waiting needs to be prayerful if we are to be truly ready to receive him when he comes. Advent is a time of waiting, conversion and of hope: waiting-memory of the first, humble coming of the Lord in our mortal flesh; waiting supplication for his final, glorious coming as Lord of History and universal judge; conversion, to which the Liturgy at this time often refers quoting the prophets, especially John the Baptist, “Repent for the Kingdom of heaven is at hand”. Joyful hope that the salvation already accomplished by Christ and the reality of grace in the world will mature and reach their fullness, thereby granting us what is promised by faith, and we shall become like him for we shall see him as he really is. We invite parishioners to consider hosting Scripture Sharing Groups in their homes over this sacred season. Groups should be kept small and consist of 3 to 6 people to allow all to participate fully in the sharing of Scripture. Guidelines are available at the Parish Office, if you are interested in participating please contact St Mary’s Parish Office on 071 9162670. Commences in the Cathedral next Tuesday, December 4th, at 8pm and continuing on the following 2 Tuesday nights, December 11th and 18th. The call to focus on Christ’s coming into our hearts and homes is the only true meaning of Christmas. Everyone is welcome to join in this hour of guided prayer, silent time and music in preparation for Christmas. Sligo Parish Cluster invites everyone involved in the Parish in any way to explore and reflect on their call to service in light of the season of Advent. 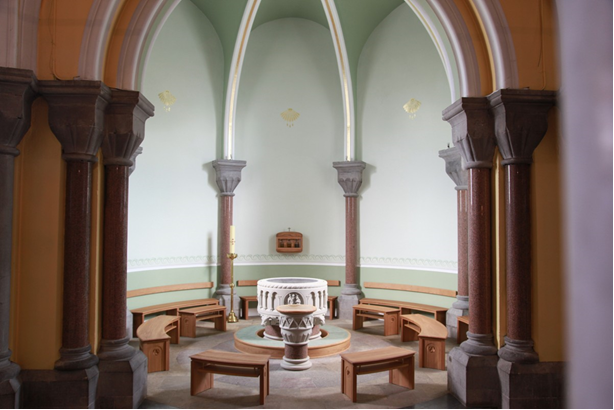 Advent the Season of Service will be held in St Anne’s Day Chapel on Thursday Dec 13th at 3.30pm, repeated at 7.30pm lasting one hour only and led by Colette Furlong, Sligo Parishes Cluster Catechist. Please note this is also the First Friday Mass (there will not be a separate Mass for the First Friday). Saturday Masses 8.00am and 10.30am. Vigil Mass Saturday 7.30pm (for Sunday 9th December). Confessions for the First Friday are available before the 8am, 10.30am and after the 7.30pm Mass. All are welcome. Cathedral here in Sligo. Bishop Jones will ordain six men from around the Diocese of Elphin as Permanent Deacons. 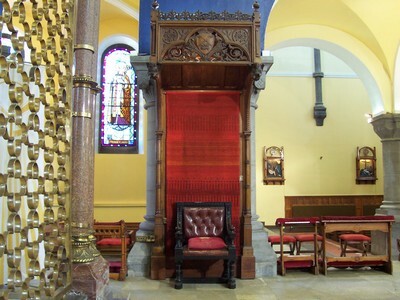 While Permanent Deacons were a feature of the Early Church the office fell by the wayside and was not restored as an ordained ministry until the Second Vatican Council in the 1960’s. It is only in the last few years that the Church in Ireland has decided that we would have Permanent Deacons here. Deacons assist the Bishop and Priests in their pastoral ministry, They perform duties such as Baptisms, Weddings and Funeral Liturgies as well as preaching and taking care of various charitable works. All of those who are to be ordained are married. They will continue in their chosen professions and minister part-time in various parishes throughout the Diocese. You are cordially invited to the ceremony at 2.30pm on the Feast of the Immaculate Conception under whose patronage the Diocese is especially entrusted. Please keep the candidates, their wives and families in your prayers at this important time for them and for our Diocese. Friday 21st December 7.00pm Reconciliation Service. Sunday 23rd of December 8.15pm Christmas Carol Concert. We welcome the children in our parish who will receive the Sacrament of Confirmation in 2013 to an Enrolment Mass in our Cathedral TODAY at 10.30 a.m.
Scoil Cnoc na Ré Friday May 3rd 11.30am. Scoil Éoin Thursday 16th May 4pm. Scoil Ursula Pentecost Sunday 19th May 12 Noon. Unite for Life Vigil, Tuesday 4th December, 4.30pm outside Dáil Éireann. All people who consider themselves pro-life are asked to come together to stand up and speak for the lives of mothers and babies. Please make every effort to attend. This cannot be stressed enough. It will most likely be the only opportunity to send a united message to the Government not to introduce abortion. The vigil will have a positive, clear message about safeguarding the lives of mothers and babies in pregnancy. Posters will be provided on the day. Please spread the word to family, friends and anyone you know. For more details and bus information contact: Claire 0872668702 or Katie 0877020255. See you @ 4.30pm sharp on Tuesday, December 4th. Please consider reading during the course of the week to prepare for next Sunday’s Mass. Lord, in all that I am today and all that I try to do, may I place my life in your hands. Amen. Friday 7th: St Ambrose, bishop and doctor of the Church. The Society of St Vincent de Paul, 35 Wolfe Tone Street, wish to offer sincere thanks to all who have helped them in so many ways during the year and would be grateful for continued donations to the Church Gate collection which will be held at all Churches next weekend. Seán Durcan, late of ‘Aisling’, Strandhill Road. May God grant him eternal rest and comfort and console his bereaved family and friends. Ár dheis Dé go raibh a anam dílis. For individuals or small groups welcome. Three 1 hour sessions arranged at your convenience. Free of charge. There is no deadline – we a re always available for this program. Contact Missionaries of Charity, Sisters of Blessed Teresa of Calcutta, Temple St. on 9154843. Takes place on Sunday 2nd December from 10am – 4pm in Mercy Gym to raise funds for Schools in India and Tanzania. Stalls include something for all the family. If you wish to set up your own stall and sell your produce please contact 086 023 1252. S.T.O.P. SUICIDE – TEACH, ORGANISE, PREVENT. S.T.O.P. is a registered charity that provides professional and accredited counselling services to those who have been bereaved by suicide or are feeling in distress or suicidal. If you feel you or your family could benefit from these services or for any other queries please contact Michelle Fox on 086 888 2009 in complete confidence. 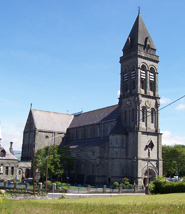 CO. SLIGO GOLF CLUB Male Voice Choir & the Sligo Academy of Music Celebration of Christmas Carols in St Anne’s Church, on Thursday 13 Dec at 8pm. Tickets €10 from Keaney’s, High St or contact 9143150. All welcome. JUMBLE SALE in aid of the Sathya Donkey Sanctuary Carrowkeel takes place on Sat Dec 8 downstairs at the Adelaide Bar, Wine St. Donations of saleable goods welcome, no video tapes please. Contact 085 7318162 or 086 3421192.
INTERNATIONAL ANIMAL RIGHTS DAY – International Animal Rights Day – Torchlit Dog (and People) Walk in Sligo on Dec 10th. Part of national events organised by ARAN (Animal Rights Action Network). Meeting at 7pm at the Car Park on The Mall. 25 min walk, meet other dog owners and people who disagree with cruelty to animals. All dogs should be on leads and please bring your own wet gear, hi-vis stuff and pick-up bags! In association with ARAN – Animal Rights Action Network. VOLUNTEERS NEEDED Sligo-based drama group, “For Your Soul Productions”, is planning a Christmas Nativity Drama entitled, “Gift of God”. It will take place outdoors at Sligo’s beloved Holy Well, Carraroe on Sunday December 16th at 5pm. The drama will be a simple and prayerful narration of Christ’s birth with music and song and a mince pie and mulled wine reception to follow. If you think you might be interested please phone Eileen at 087-2690014. SLIGO CHRISTMAS FAYRETakes place on Saturday 8th and Sunday 9th of December in Stephen St car park from 10am to 6pm, with something for all the family. Santa Claus, kids ice skating, choirs, Christmas carols, original Christmas gifts from stalls run by local traders, festive food, face painting and much much more. So come along and join in on the fun.